Inori cried out in more pain as the wood pikes pierced her form. She knew there was no escape now, and as a result, started laughing. "I'm going to have a lot of fun killing you." were the cat-girl's last words before she was completely impaled. Her body exploded into a gush of blood that would spray Yamato and stain the rock ground he was sitting on. Unlike the Shuiro blood clone's death, the Inori clone's blood started evaporating into a thin, black smoke that radiated an evil vibe, and smelled like death. Meanwhile, Hinata was burning her last reserves to heal Lee. So much, that she had to deactivate her byakugan before Yamato killed Inori, so she had been forced to take her eye off the enemy, in other words. Lee's bones and muscles had been healed best possible, and now she was concentrating on his vitals. (Sorry Shino-kun, but it appears that I won't have enough chakra to heal you, as well... please don't die...) Hinata thought to herself as she looked at Shino and got teary-eyed at the thought of her team mate dying because of her. A moment later, she felt as though a switch went off, and she lost all power. Everything around her spun and went black as she fell over. Now her, Lee, and Shino were all lying next to each other unconscious. She had managed to bring bushy brows to around the same state Shino was currently in. The only difference was that if Lee tried fighting seriously again, his muscles would tear like paper-mashay, and his bones would break as easily as a little girl's heart. Things were looking bad seeing as how both of Yamato's legs were still out of order, the 3 underlings were all half-dead, and Kumo's jounin and chuunin were now heading towards the team's location again. Yamato's attack was a succes. But to Yamato's suprise the girl started laughing. Yamato was confused and it showed on his face as Inori spoke her last words. Then her body exploded as he was sprayed with blood, but the blood quickly evaporated off of his body and the ground. Yamato had no idea why her body exploded. It was not of his doing. "Does that mean she was not real?" Yamato would say to himself. But the thought slipped past his mind as he remembered about his team mates. Turning his com. to team B's channel he was just hoping they were not to far. He asked them for assistance as he fromed a single hand seal. Wood would form from under the ground under him as it lifted him up off of the ground and started extending bringing him to his teammates. It seemed they defeated Shuiro and his body was also gone. But all three of them were just laying on the ground. Finally reaching them as he laid himself down beside his team he'd say "this is not good, i hope the others got my message." Then to himself, "How could i have let this happen to my team?" as Yamato felt he failed as a leader. Chiyo lead the way through the moutains and rivers of this land as she lead her team towards Yamoto's position. It had taken a while to get there seeing as both teams and strayed from their original path when entering the village. Apon arrival Chiyo would land onto the same building that the three Genin were lying, all unconcious. Hopefuly the two woman who they had just finished battleing with were smart enough to keep their distance to make it look like they were spying on them. "Sakura, finish up on Temari and get started on Shino. Ill deal with Hinata and Lee. Kankuro, go see how Yamoto is doing and inform on the situation." Talking about the two enemies who joined their team. Getting stared on the job that Hinata was unable to finish, a green orb of chakra formed around her hands "His muscles are completelty stretched out and torn. He must have entered the gates." Her hypothesis of Lee entering the gates was more valid as she saw the rubble and left overs of a moutian and building beside them. "This is going to take a while." Hopefuly the enemy didnt send more of their forces because none of team A was capable of fighting, Sakura and Chiyo were using much of their chakra to heal everyone. Temari and Kankuro would be their only defence with the other two females but they had just finished a battle of their own. They would not be in tip top condition. The situation was only getting worse. The team travelled through the many mountains and as they did the sun finally started to rise giving off an orangy color to brighten up Kumo. It did take a while to reach team A, but after traveling a long distance they eventually did. Only to see all four of them on the ground with each other. But Yamato seemed to be the one one who was concious. But even he could not fight in his state. They must have faught quite the enemies. As they reached the team Chiyo immediately gave out orders. Temari did not need much healing left so it would only take Sakura a few minutes to finish her up. So she got right to it. Kankuro did as ordered and walked over to Yamato also noticing that he was going to need treatment. But Yamato wanted his team mates to be taken care of before he was. Kankuro informed Yamato on everything that happened. Their battles in the sewers up to the two female shinobi joining them. They were somewhere in the area but could not be to close otherwise would be compromised. Temari got up after being fully healed and thanked Sakura. Sakura was sweating a lot because it was obviously taking much of her chakra to heal two people. Temari had gone over to Kankuro while he was explaining and taken her fan back also listening in to what had occured. Then Sakura went over to Yamato to check out how he was. And his condition was horible. Yamato told her what Hinata had already started on so Sakura finished that up as Yamato's right arm was back to normal. Now she started on his knees and legs so he could walk. The longer this went on the more Sakura sweat and the dimmer her chakra orb was getting. She was going to need Chiyo's help. Once all was done and taken care of they would need to devise a new plan. Probably to rest first. Hinata's white eyes slowly opened to see that it was no longer dark out, but that the light of day was slowly making its way across the cloudy sky. The only thing she could see besides the sky was Chiyo's old, wrinkly face. "Elder Chiyo...?" Hinata muttered as she began forcing herself up into a sitting position. She wasn't so much beat up as she was drained of chakra. Now that she was healed, all she needed was food and some rest and she would be in top shape again. She looked around to see that the two teams had assembled again. A smile spread on her face because she was happy to see that everyone made it so far, and it gave her a little more confidence. (We can.... we can do it...!) she thought to herself. Painfully forcing herself up, Hinata walked over to where Sakura was and kneeled down next to her to help the pink-haired girl heal Yamato. The little chakra the Hyuuga had left wasn't much, but it would combine with Sakura's green light and make it brighter. Chiyo slowly moved the green orb around her hands over Lee, gradualy repairing his torn muscle tissue. It took several minutes to completetly heal only a tiny section of his body. The damage done was greater than anything the old woman had ever seen. She had healed allies before who went into the gates and never had the damage been like this. The opponent he faught must have been a powerful one to make Lee destroy his body this much. It would take the Suna elder almost an hour to heal all of Lee's muscles tissue that had been torn, and even now he wouldnt be in fighting condition. As his eyes slowly opened, he looked over to Chiyo and smiled weakly "hehe, thanks." Beads of sweat dripped down from her wrinkled face as she said "Your finaly awake. You should be able to move now but dont push youself to hard, and you should know you are in no condition to fight. If you are to fight within the next 24 hours, your muscles will completelty tear turning you into a rag doll." Lee chuckled and said "Gues I'll be taking it easy from now on." as he slowly sat up, in about the same amount of pain as someone soar from yesterdays training. Moving on to Shino, he wasnt in that bad of a condition, just knocked out with one sever injury. It wouldnt take to long to heal him. 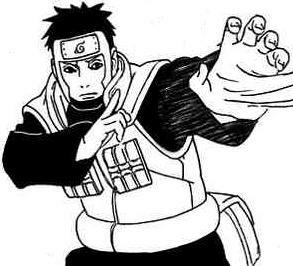 Once Shino had been healed he was in good condition, capable of standing and moving with ease. Shino saw that Chiyo was pretty battered from healing everyone, so he carried Lee on his back as the three of them hopped onto the building that Yamoto was resting on. As Shino stood up keeping the resting Lee on his back, Chiyo knelt down beside Yamoto and said "You two have done good. Leave the rest to me." Telling Hinata and Sakura to back off as they had much less chakra than she did, she would finish the healing. "Looking over to Yamoto she would say "No one here is in proper fighting condition. We should rest for the next day and continue our mission the following day." Yamato had been fully healed with the help of all three healing nins. If it were not for them the whole mission would have been jeopardised. He got up onto his feet to see everyone was heal, but not everyone was in fighting condition. Lee was the worse because of him going into the gates. Preaty much everyone else was either tired or exhausted from fighting to long or having used to much chakra. So Chiyo having proposed to rest a whole day was a good idea, but a bad idea at the same time. "We do need to find a place to rest" Yamato would start. "But resting an intire day is not an option. They seem to beable to track us down no matter where we are. Kankuro told me you were compramised in the sewers meaning they knew you were there. And also they knew our exact location two times. The moment we entered the village and after when i set up a trap. They rapidly evaded my trap and came right to us. We have to assume they have a sensor type. If we are to rest it can not be a whole day, but merely a few hours or so. Once they find out we've been staying at the same spot all together they could take that as an oppertunity to take us out right away." Yamato then looked around and asked Chiyo "were are the two you recruited? I have a few questions to ask them." After Chiyo told Hinata and Sakura to back off, the Hyuuga took the opportunity to rest a little and eat some crackers. When the two leaders started discussing the best possible strategy, Hinata decided to take some initiative. She brought her hands together to help concentrate as she activated her Byakugan with some difficulty. Focusing on the doujutsu, the Hyuuga princess extended her vision out into a sphere with a radius of 10km. What she saw worried her: nothing. 10km around them in every direction was completely deserted, not a living soul (except for Kaori and Umi). They knew the cat girl was a sensor (it wasn't likely that it was Shuiro the sensor), and that they were controlling the entire village's population. So why weren't they attacking? This would be the perfect time to finish them while they were down. De-activating her Byakugan, Hinata looked to Sakura and said, "Don't you find it strange that they haven't sent the villagers to attack us...?" "A couple of hours of rest isnt enough." Chiyo would insist "After what Lee was put through and the amount of chakra we lost we need more time. I say we wait till sun set." Seeing as how the sun was slowly rising they would have much more time then a couple of hours, hopefuly what they needed. Turning to Hinata, Chiyo was slightly shocked that she hadent noticed earlier. "True, we just defeated their allies and now are most vulnerable. Where is everyone?" but right now that was a problem that had to be delt with later. "If we are to aproach Umi and Kaori we need to make it look like we ambushed them. From what they say the enemy sensor is a skilled one, and knowns our exact location so were going to have to make it look like we found them and captured them. Were going to have to let them know where coming so they let us do what we need to. I say first we let them know were coming by telling them." Chiyo ment by yelling to them so they would stay where they were "Then we sunshin over there and tie them up. How about it?" Chiyo would await to see if Yamoto had a better idea or would agree with hers. Sakura turned over to Hinata when she heard Hinata speak to her. Hearing what Hinata said, Sakura had completely forgot about the villagers. She looked around and there was no one in sight. "You're right Hinata, that's pretty strange." It seemed Chiyo had decided that they were going to rest untill sun set. The sun had just started to rise so it was almost a full days worth of resting. Yamato was a bit on edge about it because they had a sensor type and would know that they were obviously resting. But after hearing what Hinata said about there being no villagers around them he was ok with the idea. Both teams needed it. Because they had a sensor type they would know that the teams were working with Umi and Kaori if they just walked over to them. So Chiyo came up with an idea so make it look like they caught the two spying on them and captured them. Yamato thought about it and agreed. Turning over to the rest of the team he explained to them what he and Chiyo were going to do. Leaving Kankuro in charge for the short time they would be gone he told them to go inside the building and get some rest. Yamato then yelled over to where Umi and Kaori were explaining what Chiyo and himself were going to do. Forming a single hand seal Yamato exploded into a veil of leaves as he reappeared where both Umi and Kaori were. Forming a single handseal, wood would burst out of the ground wrapping around both the female kunoichi. Only to make it look like he was still the enemy and had captured them. The wood was not to tigh so they had some room to breath. "Before I can fully trust the both of you i have a few questions to ask you" Yamato would go on. His first questions would probably be the most important. "First off, what have you and your group come to do here? What happened to all the villagers and shinobi? and how many are you in your group?" Hinata and the rest of the allies walked into the building. She sat down on a chair that was a lot more comfortable than it looked, and before she knew it, exhaustion caught up to her and she blacked out (sleep). Umi and Kaori went along with the little charade to make it look like they got captured. They listened to Yamato as he spoke, and then Kaori went to answer, but Umi cut her off. "Hinode is the name of the group's leader. He assembled his team in order to achieve his ultimate goal, which is to capture all the jinchuriki and transfer the tailed demons into clones of the originals. Since he has complete control over his clones... most of his clones... he will ultimately have control over the tailed demons and use their power at his whim. He chose Kumo as his base because it was the only village that held 2 jinchuriki." "Two birds with one stone, smart, no?" Kaori cut in. Realizing what she just said would probably make her sound like an enemy, she quickly continued, "The villagers are being controlled through a powerful illusion. That stupid tramp Shinku is behind it. She's the clone of an Aburame, and Hinode twisted her genetic make-up so that instead of hosting chakra-eating beetles, she hosts chakra eating bot flies. She uses a special technique to implant a larva into the brains of people so she can use the larva as a transmitter for her genjutsu. This also makes it impossible to disrupt unless the larva is destroyed or removed. The down side is doing either one of those things could damage the person's brain, killing them in the process as well. 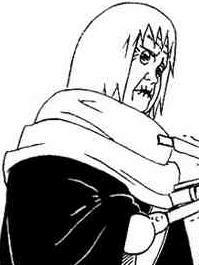 It's a pretty icky jutsu." Kaori paused, and then smiled, "Actually, there is a third way of breaking the illusion..."
"Killing Shinku, which is why you're helping us." Umi said, looked at the chef. Looking back up at Yamato, she continued, "Apart from the entire village of Kumo, including the Kage and his personal guard, Hinode's group has now been reduced to only himself, Shuiro, Inori, and Shinku. Shuiro is a rogue ninja from the hidden grass, and an extremely skilled taijutsu user. Inori is the sensor and sealing-nin of the group. I don't know much about her, and her chakra has a strange feel to it, almost inhuman. 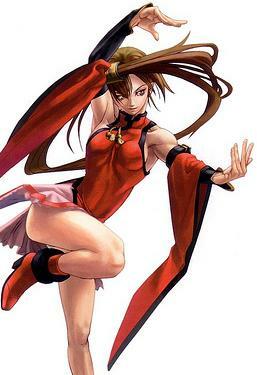 Shinku is a skilled Genjutsu user as you've probably deducted, and she is also very cunning. Hinode is well versed in all arts of shinobi combat and skill, but his true strength lies in his Kekkei Genkai. It's a strange power which allows him to use blood as a medium for his techniques. That's what allows him to create 'real' clones of people. All he needs is a single drop of their blood..." Umi concluded, and remembered she was actually a clone of her former, "real" self. "And just a little heads up," Kaori cut in again, "He started preparing the ritual the moment the 4 Jinchuriki were gathered. In other words, the longer we stay here 'resting', the more you reduce your chance of completeting your mission. Or getting out of here alive at all." A sly grin spread on her lips and she looked at Yamato out the corner of her eye. "I think I might have just devised a plan to get you all into the tower undetected..."
Chiyo performed a singal seal as she too sunshined along with Yamoto. Meanwhile, Shino help Lee enter the building that they stood on. Shino found a chair that looked the most comfortabtle and help Lee up into it. Shino too then found a chair like Hinata and dozed off into a deep slumber. Chiyo watched as Yamoto singal handedly wraped both the woman in wood. Yamoto begun by asking them a couple of questions and the females went on to answer alot more than the Suna elder had expected. It apeared they realy were on their side. When Chiyo herd that they had already started the "ritual" on the jinchuriki, she freeked out. So many thoughts were racing through her head, but they eased down when one of them said they think they know how to get us into the tower without being detected. "Then were only going to give the kids a few hours of rest. Let us in on your plan. We too need to rest abit before we set out to continue our mission." Sakura also walked into the building to find a seat and get as much rest as possible. But because Kankuro was put on charge until the two captains got back he was sitting on top of the roof incase any enemies ended up showing up. The two female shinobi gave out a large amount of intel on the enemy and what was going on. The fact they did so gave Yamato a bit of comfort with them. But he still could not trust them entirely. For all he knew maybe it was part of their plan to catch them off guard. So he would still be on the look out. After all was said about the enemy Yamato shook his head. "We don't have much time to rest if the procedure has already began. And now we have the Raikage to worry about also. Things are not looking good for us." Now he knew about the enemy but they didn't really know what Inori could do. "I was fighting her not to long ago." Yamato said. "She fights with claws that come out of her jacket and is very quick. She also uses Kanji symbols to create elements. I've seen her use lighting. Also when practicly every bone in her body broke, she continued moving as if they were as good as new" Yamato would finish. Probably explaining the inhuman feeling about her chakra. Then Kaori stated that she just got an idea to how they could get in, undetected. Yamato was more then willing to hear it out, but first they needed to re strategize. "We need to figure out how much rest we will get. Then how we're going to go up against Shinku, Hinode, Shuiro, Inori, and the Raikage." Now Yamato wanted to hear what Kaori's plan was so the could proccede as quick as possible. The bound girls listened to the captains of the allied forces. Kaori was first to speak between the two, saying, "Well, Shinku is in a room with only 1 guard keeping watch while she concentrates on her technique. This room as at the peak of the mountain that the Raikage's building is built on. I'm pretty sure I could take the two of them out by myself..."
Umi turned to look at her and replied, "No. Shinku is not to be taken lightly, and that guard with her is the Raikage's right hand man. You will need at least one other person with you." umi looked up at the two leaders, "I suggest anyone who can deal with an Aburame and close range fighter." Yamato and Chiyo knew their crew better than anyone, so it was up to them to decide who would go with Kaori to fight Shinku and the Raikage's right hand man. "Whatever. To get you guys in," Kaori said, looking at Yamato and Chiyo, "I'm going to seal you into another dimension using a reverse-summoning technique of mine. We'll make it look like we broke free, trapped you two, and then I trapped the rest of your gang. Once Ta... I mean Umi... is in the main office, she can release the scroll and bring you guys back into this dimension instantly. Inori won't be able to detect any of you if your not in this space and time." Kaori concluded with a sly smirk, proud of her plan. "I know it sounds kind of sketchy, but it's your only chance of getting in and saving your friends. You don't have to worry about me crossing you guys, I need a distraction to give me enough time to kill Shinku." With that, the two girls waited to see what the two high ranking shinobi would decide. They gave the location of Shinku and she was being guarded by one of the Raikage's body guard. Meaning Hinode doesn't want anyone interfering with her. They asked for one person who could handle Aburame's and a close range fighter to help out Kaori. Yamato had in mind who he could send. "I think we should send two people with you. This Shinku person seems to be a skilled shinobi. 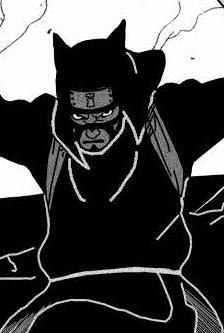 We could send Aburame Shino with you, he'll probably know how to handle another Aburame but he isin't a close ranged fighter but a good sensor with the help of his bugs. So Sakura will aid you as well. 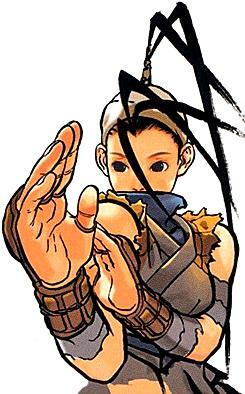 She's a skilled close range fighter with incredible strength and can heal any of your injuries." But before they sent those two Chiyo had to agree also or say who she thought should go. Yamato didn't want to send to many people off because he knew they would be going up against the Raikage as well as the three remaining enemies. It was not going to be easy. Then Kaori went on explaining what her plan was. It did sound sketchy but it's all they had now and it had to work. Yamato agreed with the plan and now Chiyo had to agree with the plan as well. "We'll get the plan started as soon as possible. Just give the others a bit more rest. Chiyo, you should probably go inform the others of the plan before we go along with it." Now all they had to do was wait a bit. Yamato had chosen the correct members to go help Kaori face Shinku. Shino who was an Aburame as well and Sakura who would be able to see through her Genjutsus. "Shino and Sakura are the best suited to attack Shinku." The plan that the chef had come up with was a great one, one that would easily and swiftly get them into the Kages tower. Once they made it into the Kages tower they would have to deal with at least 5 enemies consisting of the Raikage, probably his other elite guard, the leader and his two remaining team mates. "Were going to have to decide who we want to fight before we get into the tower. Theres Us two." Talking about herself and Yamato "the Hyuuga, Lee and Umi. Right now Rock Lee will not be in tip toch shape and if he even tries opening a singal gate he will die. And where dealing with the Raikage and a skilled Taijutsu nin so were going to have to think this through properly." Chiyo was thinking over what to do and then asked "Does anything happen to your bodies when you die?" asking about Meat and Furry who they had killed back at the wearhouse. After a short discussion, the basic plans had been set. Kaori, Sakura, and Shino would split from the rest of the group once they were inside to go up and fight Shinku and Darui. The rest of the team (Yamato, Chiyo, Hinata, Rock Lee, Temari, Kankuro) would have to take out everyone else so Umi could have her shot at Hinode alone. "Alright, if we're done talking, let's get this show on the road. Time moves slower in the real you're going to be sealed in than it does here. So in other words, you guys will have time to rest and discuss battle plans. I'd say about a full day." Kaori informed them. With that, there was a small puff of smoke behind Kaori, and then a loud buzzing noise as something cut through her wood bindings. As the pieces of wood fell behind her, a spinning plate with a razor sharp edge shot up behind her, and she began forming handseals with a smile on her face. Rolling forward, she came to a stop between the two leaders and slapped her hand onto the stone ground. Summong symbols spread out across the stone, and Yamato and Chiyo warped and imploded. There was a small puff, and the symbols vanished the instant the leaders did. Kaori turned to look at umi who was already on her feet, and seemed to be positioning herself for something. The saw-plate came back down, and tore right through the wood binding on Umi without even leaving a scratch on her clothing. The wooden blocks fell to the ground, and the spinning plate came to a stop in the earth before popping out of existence. "Alright, let's go get the kiddies. I think it'll be more fun if we don't give any warning!" Kaori exlaimed with a gleeful clap of her hands. Umi just sighed and then nodded. The two vanished, and within the span of a few moments, the rest of the allied forces would find themselves inside of a giant cooking pot with the lid sealed shut. Despite this, they would find that there would be no shortage of oxygen. Inside the pot with them was a giant potato and giant piece of beef. Also, they would all be knee-deep in broth. This would be the perfect place for them to feast, rest, and prepare for what was coming. After everything was done and all, the allied forces found them selves inside a pot with broth, and a huge piece of beef and potato. Obviously to eat. Yamato explained everything that he and Chiyo talked about to the others. Everything. Now the whole team was informed and knew how dangerous of a situation they were stuck in. "Every one eat up and rest. You'll need all the energy you can get. Chiyo and i will discuss the situation some more and we will inform you once all is done and decided." Grabbing large amounts of the food Yamato would go over to one spot of the pot along with Chiyo to discuss what they were to do. All while eating. "It has already been decided that Umi will be fighting Hinode by herself" Yamato told Chiyo. "So here's what I think we should do with the others. Hinata and I should handle Inori because we have had experience fighting her. Rock Lee should most likely fight Shuiro because they are both taijutsu users. But because he is the most injured he will have the help of both Temari and Kankuro. That would leave you to fight the Raikage "alone". With the help of your puppets you should be able to hold him off in time for one of us to come aid you." This is what Yamato suggested. If Chiyo had her own plan she should bring it up now. Once all was done and delt with for teams, they would move on to divising a battle plan. As Chiyo feasted apon to food that was provided for them, her and Yamoto went off to further discuss the situation. As she listined to the leader of the allies forces Chiyo noded and said "Fine by me. But Kages usualy have two guards by their side. If his second guard is with him I shall take Temari to aid me. I will go continue working on Lee's injuries and inform them on our plan." Chiyo walked over to where their team was as she knelt down beside Lee. PLacing her hands over him, creating green orb as she began healing his muscle tissue. "The plan is that were going to be snuck into the tower where the enemy is. Once we get in, Sakura and Shino with the aid of Kaori will procceed to the top of the tower to take on the Aburame casting the Genjutsu over the village. Yamoto and Hinata will take on Inori, I shall take on the Raikage and if his guard is with him Temari shall handle him. If not Temari, Kankuro and Lee shall take on Shuiro. And try not to push youself to much. I'll heal as much of your muscles as I can but if you go to far there is a high chance that youll die." Lee noded with a smile and closed his eyes, resting a bit. "That leaves Umi to get her revenge on Hinode. This is our only chance to save the Jinchuriki so failure is not an option. Not rest, your going to need all the energy you can get." Chiyo went over to Lee to explain what they had decided for the moment. Yamato took that as his chance to explain it to everyone else. He explained who was going to be fighting who and no one objected. "Now all we need to do is come up with a battle plan. First off we should start off with a wide range attack from Temari and hopefully take them all out at once. But that's highly unlikely. We'll aim to take out Shuiro and Inori out first to aid Chiyo with the Raikage as quick as possible. If Temari's attack takes them out then all is good. If the manage to evade it that's when we'll sneak attack them. Kankuro will attack Shuiro with his puppets weapons to take him out right away. I will strike at Inori to try and take her out. If all fails we will fight as we planned out and do our best." Looking over at the allied forces as they ate and rested up Yamato had one more thing to say. "This is our only and last chance to save the Jinchuriki's that have been captured. But most of all Gaara and Naruto. Failing is not an option" not knowing Chiyo already said it. What he just explained had nothing to do with Sakura and Shino because they would be with Kaori taking on the genjutsu nin. Yamato when went to get some more food and relax. What they had to do would be the turning point in this whole mission. Hinata stopped her kata when she heard a strange sound. Turning to look, she noticed a slit had formed in one of the giant walls of meat, and it was slowly growing wider. Before she knew it, Hinata was looking at Kaori's face. With her whole head sticking out of the slit in the meat, the chef-nin made her announcement, "We're going to be there soon... make your final preperations. The broth will start to bubble right before you're all brought back into our dimension. I hope you're ready..." she concluded as her head sunk back into the meat and vanished. Hinata swallowed hard and looked at Yamato. She was already starting to feel extremely anxious. Everyone turned to the head of Kaori which was sticking out of the meat. They were aproching the Raikage's tower soon and needed to finish up their final preperations. 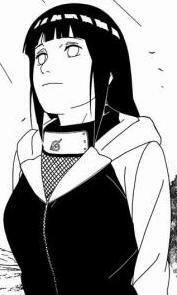 Yamato looked over to Hinata as she looked at him. Yamato couldn't tell if she was nervous or not. He simply gave her a reassuring smile telling her that everything was going to be fine. She shouldn't have anything to worry about. She was going up agaisnt Inori along side with Yamato. And for all they know they've seen quite a bit of Inori's skills, and not much of Hinata's. She had the upper hand on her right now. Yamato just hopped she wasn't to afraid. He turned and walked over to Sakura who was eating and mentaly preparing herself. Sakura knew she was going up against one of the stronger members of the group and needed to be ready. Yamato bent down beside her as the two started to discuss something amongst them. Then it looked like Sakura handed something over to him with a nod as he slipped it into his pouch. Yamato then got up and would anounce I want everyone to finish up what theyre eating and prepare themselves both physically and mentaly. You should be going over how you plan on fighting and taking your enemy out over and over in your heads. Reminding them once more This is our last shot to save Naruto, Gaara, and the others. We have gotten the help from both Kaori and Umi, and must complete this mission. Otherwise Hinode will have control over four demons and with the power of four demons capture the others. We are the only hope of stopping him, and it ends here!